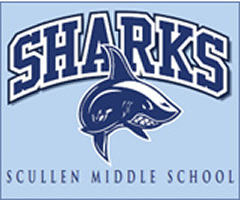 The Scullen Middle School community empowers and challenges its members to grow socially, emotionally, and intellectually, to provide a foundation for life long learning. Thomas G. Scullen, Ed. D. served as superintendent of Indian Prairie Community Unit School District 204 from 1986 to 1995. Dr. Scullen forged many innovations during his nine-year tenure and is credited with preparing Indian Prairie for the 21st Century. He established the Indian Prairie Educational Foundation; initiated the school-business partnership program; established a formal staff development department; restructured the curriculum department and added master teachers as curriculum and program coordinators; established programs for gifted and talented students; implemented a district-wide inclusion program for students with special needs; developed a district-wide technology plan; and organized citizen advisory groups on school attendance boundaries, facilities and academic assessment. Dr. Scullen led the district at a time of tremendous growth. Under his guidance, the district introduced an amendment to the Illinois “tax cap” law that would exclude new growth from the bill. With strong support from area officials, the amendment passed. The measure resulted in $2 million in annual tax revenues that the district would have missed. Community support for District 204 abounded during Dr. Scullen’s superintendency. Residents approved four referenda, one of which passed by a 2-to-1 margin at a time when referenda were failing and taxpayers were revolting in other school districts. 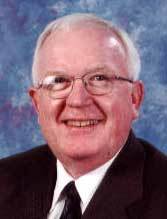 Dr. Scullen earned the 1992 Judge Edward C. Eberspacher Award from the Illinois Council for the Gifted. He was named 1993 Superintendent of the Year by the Illinois Association of School Administrators. He said, “Dr. Scullen is one of the most fortunate people I know. He chose a profession that is perfectly suited to his personality and strengths. Clearly, he would rather be a superintendent of schools than do anything else. Another honor bestowed upon him recently was Superintendent of the Year in Wisconsin in 2002. The four elementary schools that feed into Scullen are Fry, Peterson, Welch, and White Eagle. More information about these schools can be found at their websites. Along with Gregory and Crone Middle School, we feed into Neuqua Valley High School and Waubonsie Valley High School. To see more about these schools, please visit their websites.